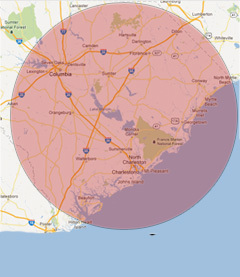 Welcome to the home of Straight Striping, the leading provider of all your Charleston asphalt maintenance needs. 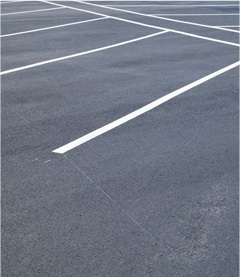 If you are in need of sealcoating, line striping, asphalt paving, patchwork, repairs and more - we've got you covered! 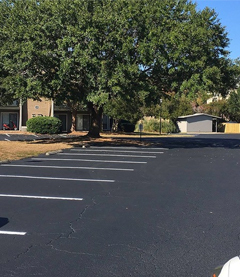 Our customers find that we can help them to maintain their parking lots and driveways without the huge costs of having to completely redo the space. It is very important to keep asphalt maintained. This is the first impression made on potential clients, and the first thing you will see when visiting a residence. As a business owner, a well maintained parking lot is not only a nice welcome, but leads clients to believe that because you are serious about the outside of your business, you must also be serious about the inside. According to a study performed by Girish C. Dubey, chairperson of the Pavement Coatings Technology Center at the University of Nevada at Reno, maintaining asphalt pavement with sealcoat every three years saves an average of 48% over unmaintained asphalt. 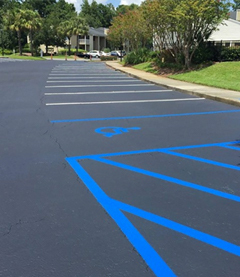 At Straight Striping customer satisfaction teamed with quality Charleston asphalt maintenance is our #1 concern. Our commitment to you is that one of the owners will be on each and every job from start to finish. Questions and changes can be handled seamlessly and on the spot. We are a local company dedicated to saving your asphalt and bettering the appearance of your business or home. We provide our customers with the most professional and environmentally friendly products and high quality workmanship at a fair price. Trust in Straight Striping to provide you with the great looking asphalt you need in addition to maintaining your investment.